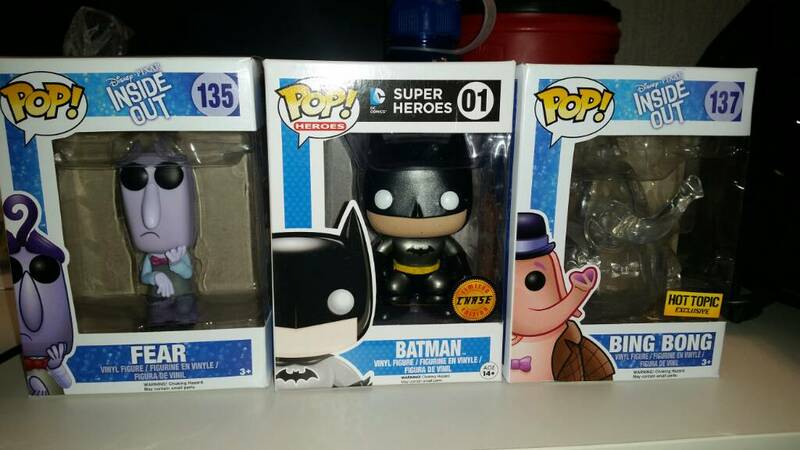 So I walked into Hot Topic today and spotted this Chase Batman. With their buy 2, get 1 free it came out to $9 after tax. Chases are specially painted limited editions which are randomly inserted into shipments of the commons. People are paying in the neighborhood of $60+ for that one. shoot. I'll have to hit up toys r u and target to see if they've got it as eell. Hot Topic, B&N, Target, Wal-mart, Gamestop confirmed - I've seen them at just about all the locations near me in South Jersey. Only problem is the selection seems to change weekly. The cb shop in redlands is definitely sold out of the specials. By the emplpyees. Yeah, the problem with those little shops is that the people know what to look for and you won't find any deals. Oh yah! I'm actually subscribed to Power Up box. 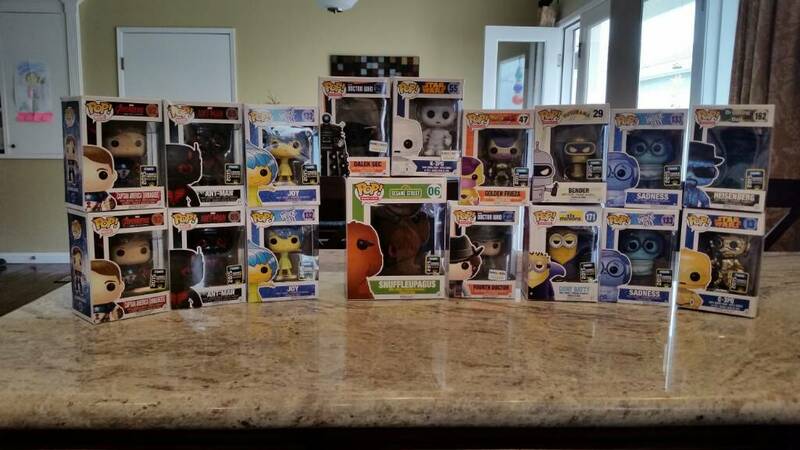 Prty cool got my Dorbz this month and last month a Funko. Found this guy in Boston last week. They also had a glow in the dark super saiyan. I went a little crazy buying some of the SDCC releases from Hot Topic and Barns and Nobles last week. I'll eventually sell off most. Here are a couple Pops I've customized. Pop Asia has a legendary creatures and myths line that has some really cool ones. They tend to be pretty expensive though, 30+ for most of them. The Krampus pop that just came out is pretty neat as well. It has a small child stuffed in a basket on its back that you can't see while it's in the package.